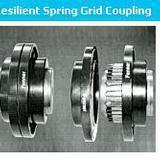 Torsionally flexible providing protection against shock load, impact load and vibration. Transmit full torque with dampened vibration and reduce peak loads. We take privilege to introduce ourselves as one of the most leadingdealers and suppliers of Fenner Brand Products (Power Transmission and Fenner Poly F Plus Blet) and TIDC (Industrial Chains) . Our company has achieved an unprecedented success in this business arena by offering superb quality to its valued customers. All the items are passed through strict quality check and dispatched within the right time to our clients. We have the capability to realize customers’ wide needs regarding the industrial hardware and power transmission products. Our company is well known for offering complete satisfaction to customers in terms of high performance during usage of the items, timely delivery and sensible price range. Our talented team of professionals mainly emphasizes over the quality of these industrial hardware products because we understand well, only quality can keep us ahead from our competitors in this field.